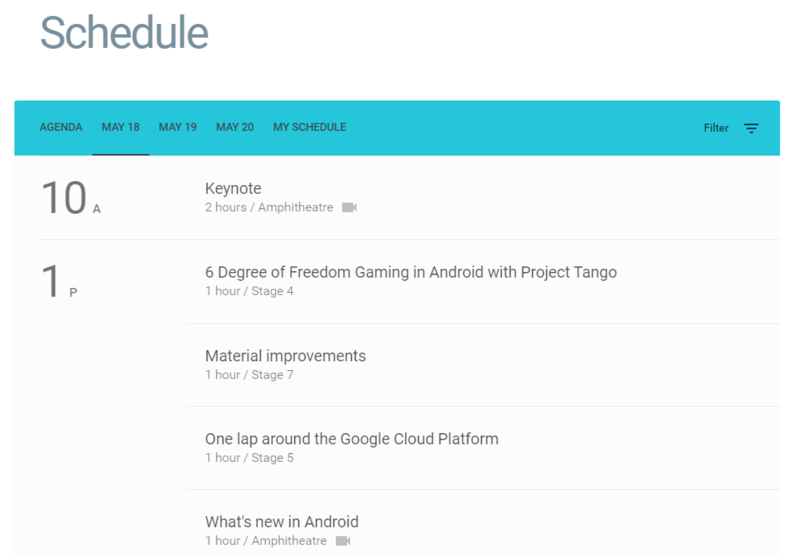 Google has just published the official schedule for I/O 2016 - you can see it right here. This year's I/O is at Shoreline Amphitheatre in Mountain View, near Google's own headquarters. Day one kicks off with a 10AM keynote that will go a full two hours (! ), but there are lots of other interesting sessions, here are a few. Motion tracking on a mobile device has already enabled a whole new range of experiences, but what would be possible if your Project Tango device could have a memory? With Area Learning, Project Tango can not only see the space around you, but it can also remember the space around you. This opens up a new range of possibilities for Project Tango developers - attach virtual objects to the world that remain in place even when you restart an app, design multiplayer experiences and know the exact location of each player, pause/resume AR/VR experiences, and eliminate motion tracking drift. We’ll go over basic concepts of area learning and best practices for Project Tango developers. Basically, this seems heavily focused on AR (and/or VR?) gaming experiences that would actually remember the layout of an area, and the possibilities there do sound very exciting. There's also a dedicated VR session on the 19th at 9AM, which sounds very promising. Google's vision for VR: what we have built, what we have learned, and where we are headed. Google Play has seen tremendous growth over the past year, reaching more than 1 billion Android users across 190 countries. 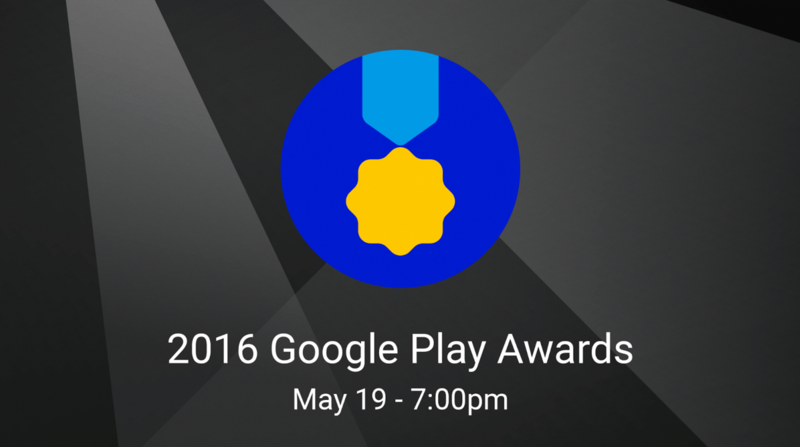 As a way to recognize our incredible developer community and highlight some of the best apps and games around the world, we’re kicking off our first-ever Google Play Awards ceremony. In this session, we’ll bring on stage the winning apps and games across ten award categories, such as Standout Indie, Best Families App, Best Material Design, Best Overall App/Game and more! The winners will be selected by a panel of experts on the Google Play team based on a criteria set that emphasizes app quality, content cleanliness, great user experience, and high star rating. Come join us and learn from the top app and game developers in the world on how to build the best Android experience and drive user engagement. The nominees are here, and there's a related blog post here. The standard Android Platform fireside chat is still happening this year, another one of our very favorite sessions to both listen in on and participate in. We're still picking over the schedule, and we'll let you know if we find anything else interesting. This is just the first wave of talks. We’ll be adding more talks and events as we get closer to I/O, including a number of talks directly after the keynote (shhhh!! We’ve got some new things to share). We look forward to seeing you in a few weeks -- whether it be in person at Shoreline, at an I/O Extended event, or on I/O Live!